Beautiful Incentives: #WIN a Trip to London for 2 via @WorldMarket and #DowntonAbbey Sweepstakes! 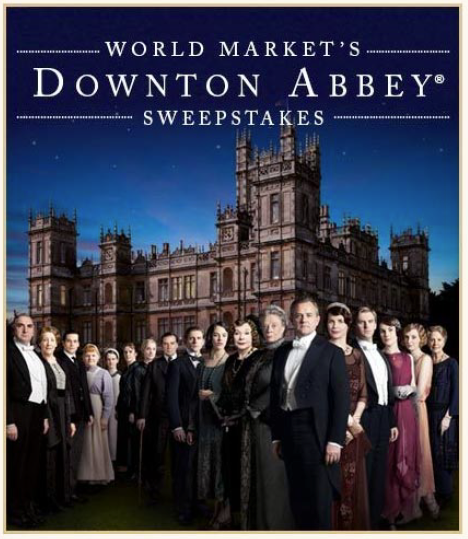 #WIN a Trip to London for 2 via @WorldMarket and #DowntonAbbey Sweepstakes! Are you a fan of the show Downton Abbey?! If you are, you do NOT want to miss this Sweepstakes! $1,000 World Market gift card!!! PLUS, 3 first prizes: $500 World Market gift card!